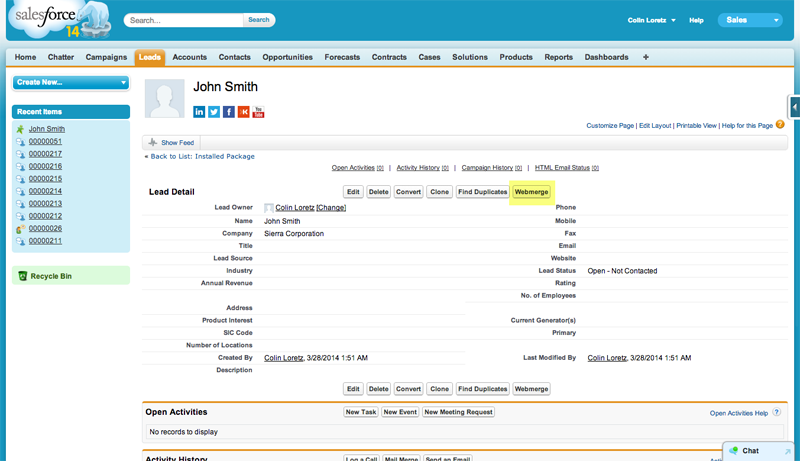 Head over to the AppExchange and search for WebMerge or go to https://appexchange.salesforce.com/listingDetail?listingId=a0N3000000B53bmEAB to get started. 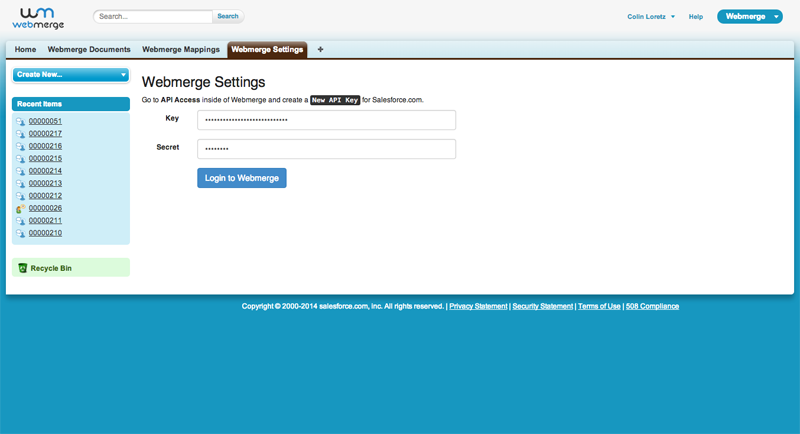 Sign in as a System Administrator for the Salesforce Org that you’d like to install WebMerge for Salesforce.com. 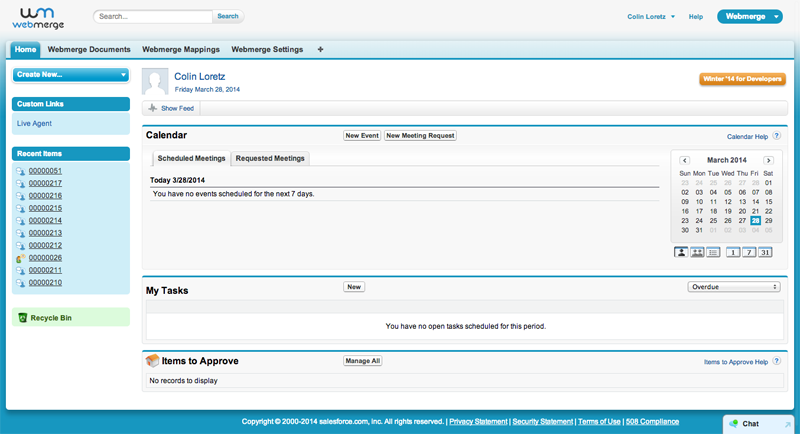 Once you’re logged in, you’ll be presented with details on what will be installed into your Salesforce Organization. 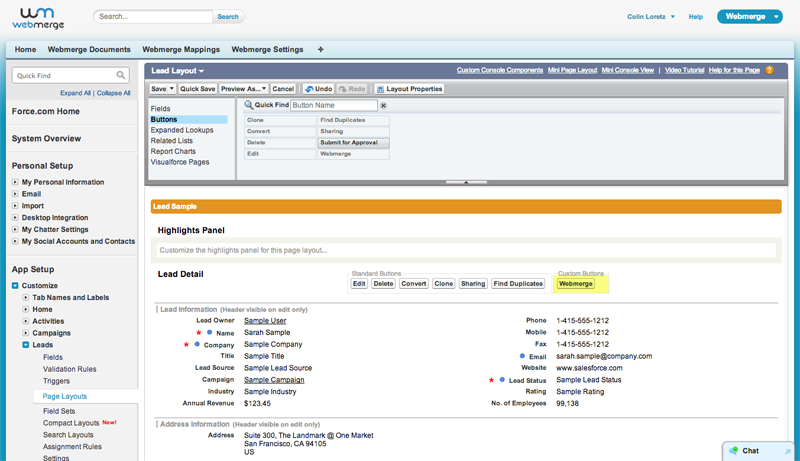 Salesforce needs permission to talk to WebMerge. 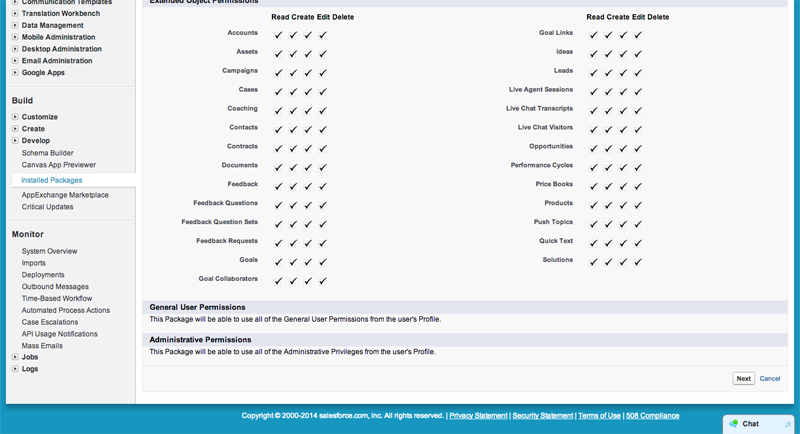 Check the box for Yes, grant access to these third-party web sites and click Continue. 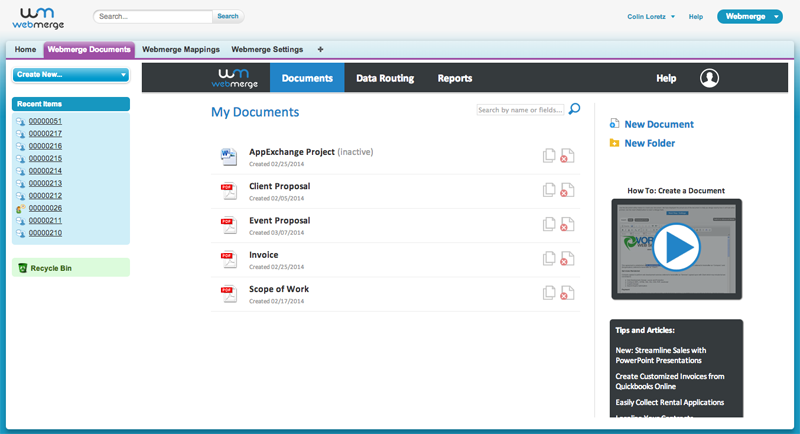 Review the Object Permissions on the next page and click Next. 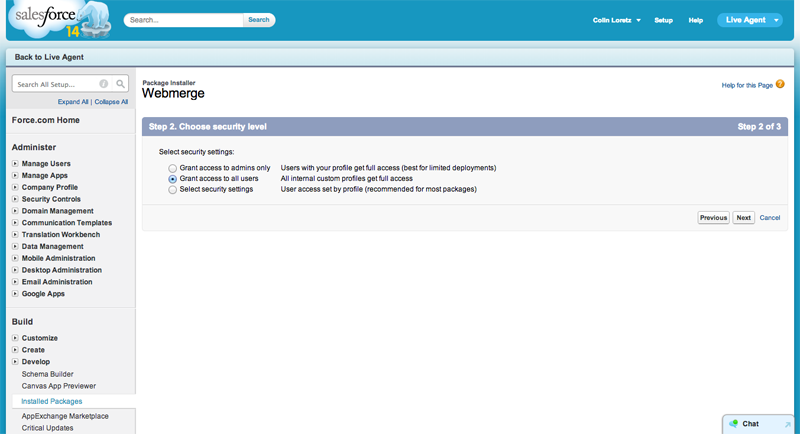 Select a security level. 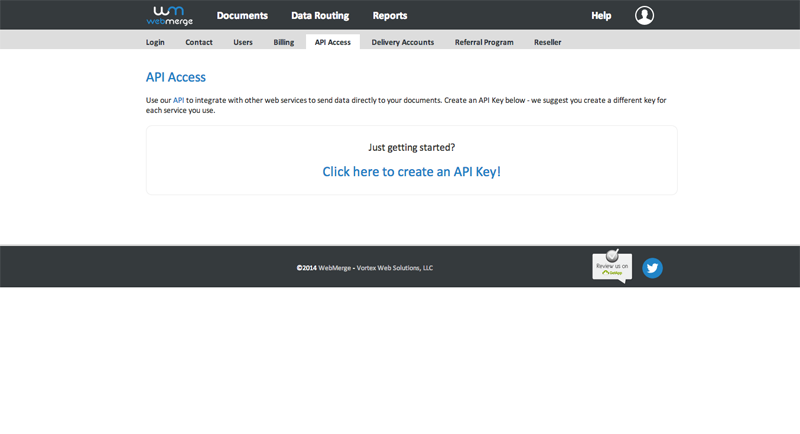 Grant access to all users is recommended if you want your users to be able to merge documents themselves. 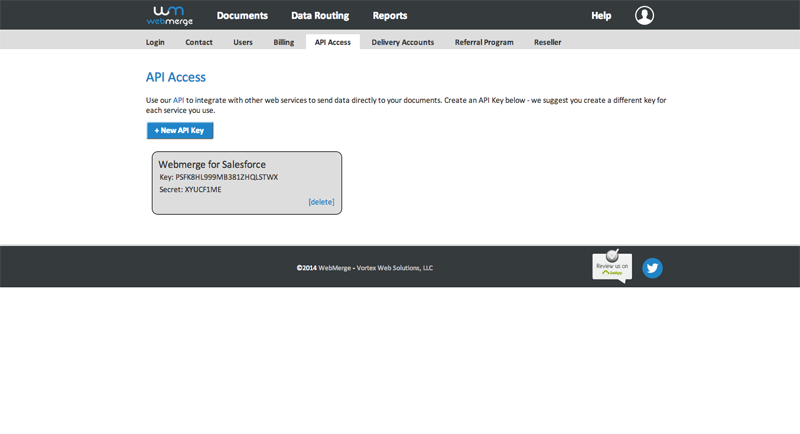 There are some areas of the WebMerge for Salesforce.com application that will only be accessible from System Administrators. 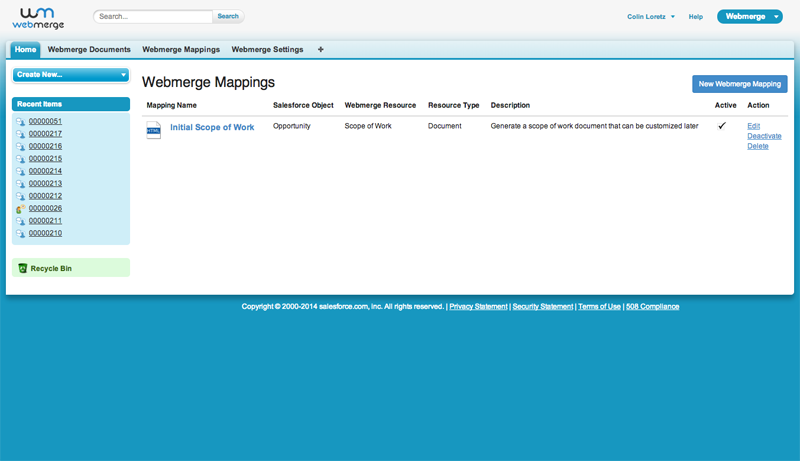 Click Install and you’ll receive an email when WebMerge for Salesforce.com is installed in your organization. 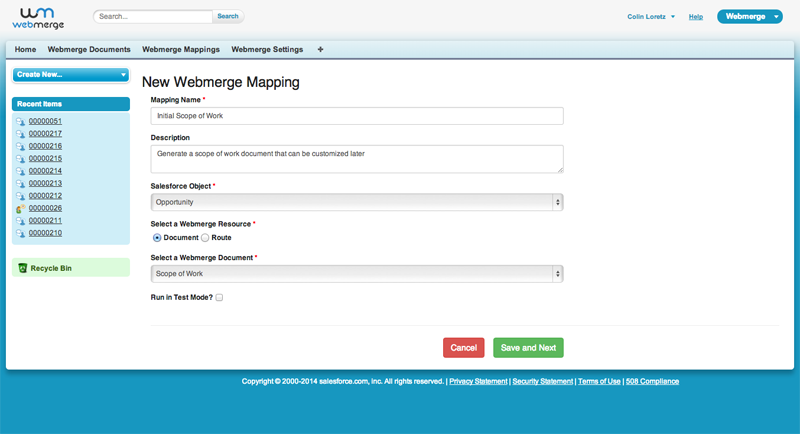 After you’ve placed the WebMerge buttons and setup a couple WebMerge Mappings, click the WebMerge button on a record. This will show you a list of available mappings for this object. 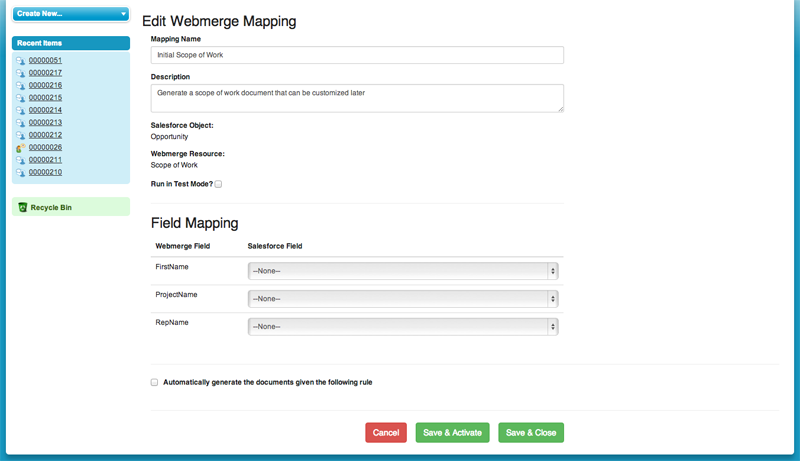 Click Merge Document next to the mapping you’d like to use with this record. 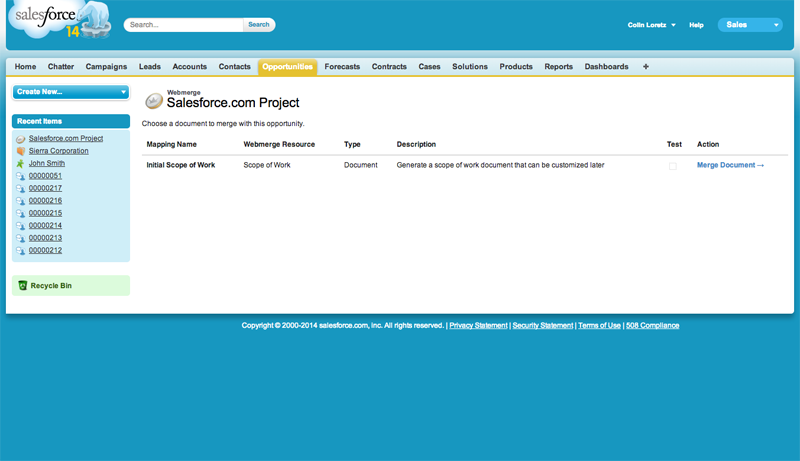 You will be returned back to your Salesforce record and you should now see your newly generated attachment in the Notes & Attachments Related List. Salesforce supports master-detail relationships and we’ve given you the ability to use those relationships in WebMerge Mappings. 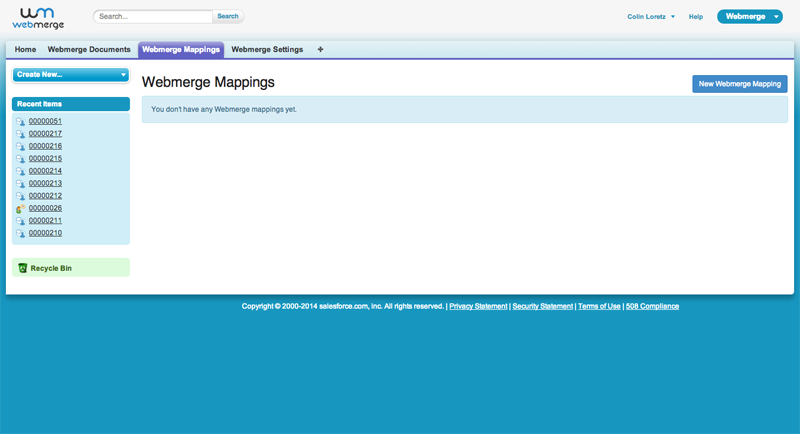 In your Salesforce WebMerge Mapping you will now have the ability to map a Salesforce field or relationship to notes and note. When working with child relationships, we’re going to ignore the note field in this situation because it is the iterator. 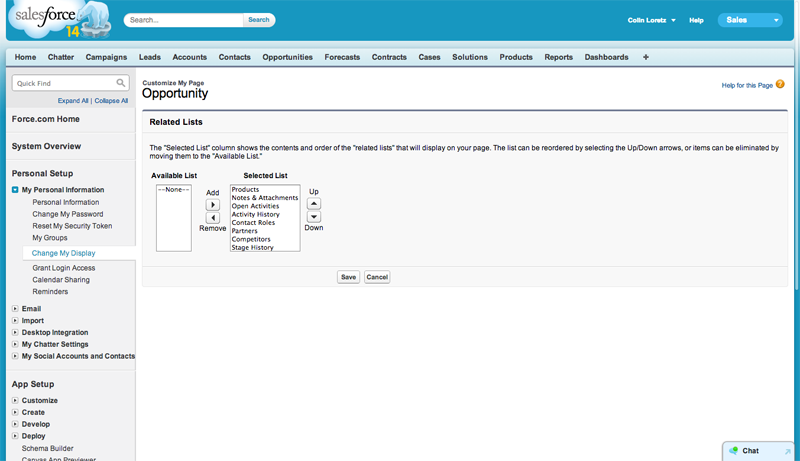 Let’s instead look at notes and in the Salesforce Field section, find the relationship you want to map to the list. In this example, we will use Child Relationship: Notes. 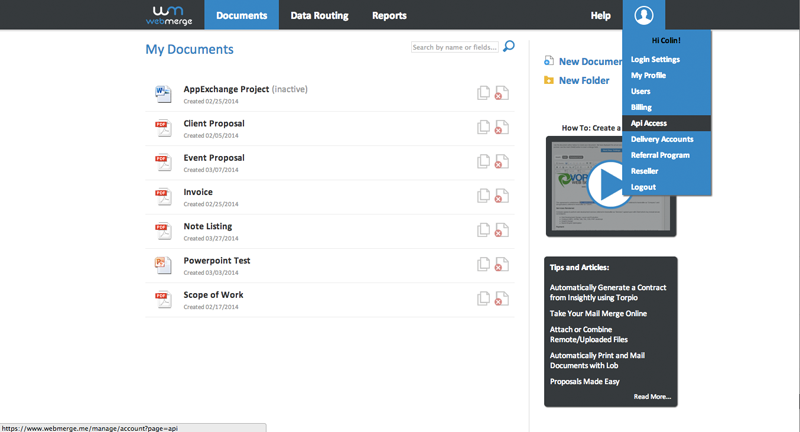 This will allow you to create a WebMerge generated document that iterates over all the child notes attached to a Salesforce record and output their Title and Body. 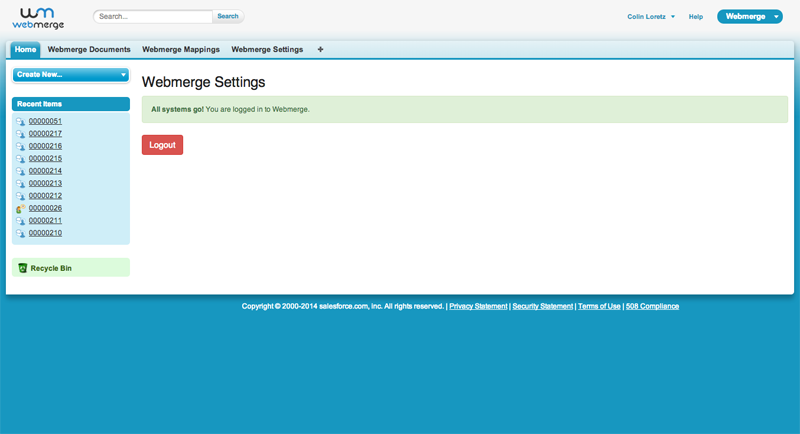 After you’ve logged into WebMerge, click the WebMerge Settings tab. 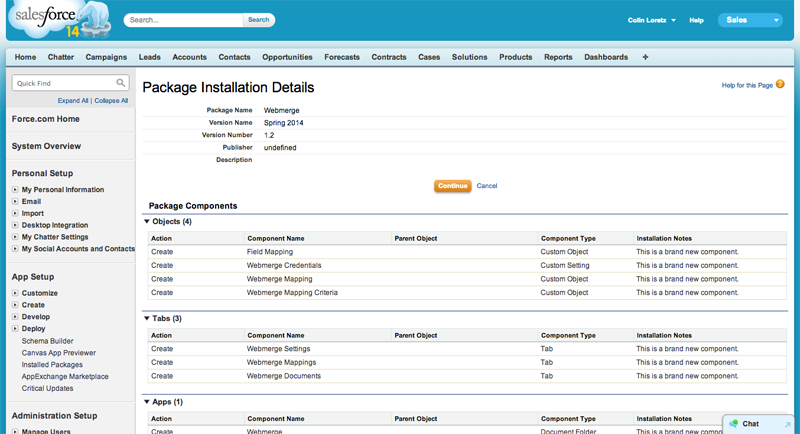 Here you can add or remove support for various Salesforce objects. 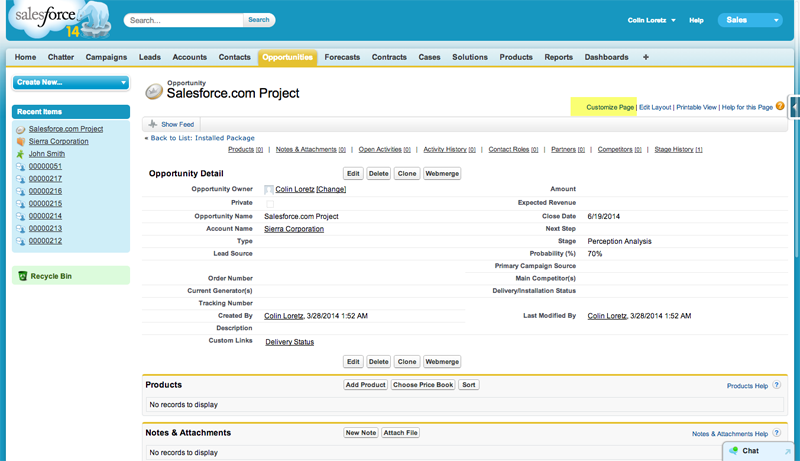 We allow you to see a list of all the Salesforce objects that exist within Salesforce but keep in mind that you will only be able to add Merge Buttons and Triggers to certain objects. A good rule of thumb is to stick to standard objects like Quote, Contract, Event, or Task and custom objects. 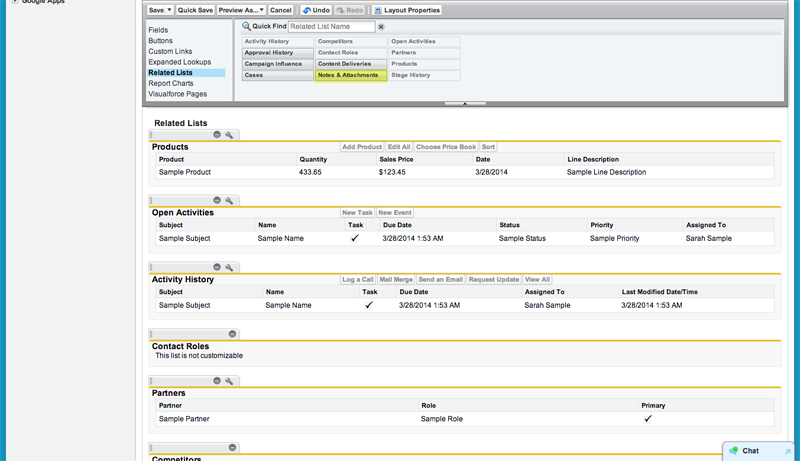 WebMerge for Salesforce works with a few standard Salesforce Objects out of the box. If you’d like to add more, you can do so. 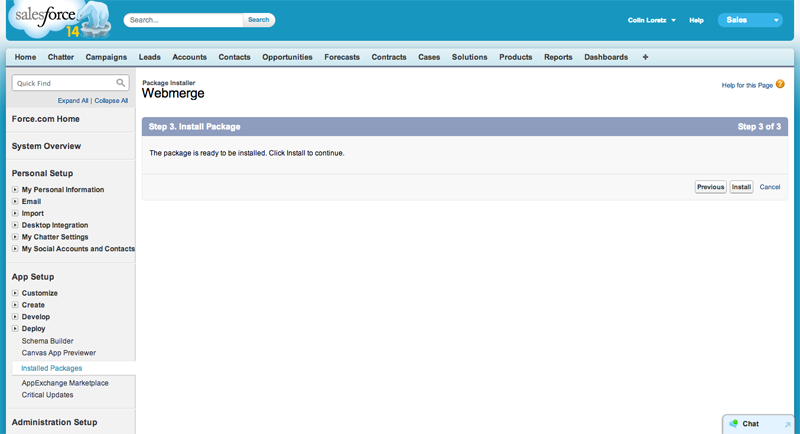 Set the standardController property on the page to be the object you’d like to add support for. 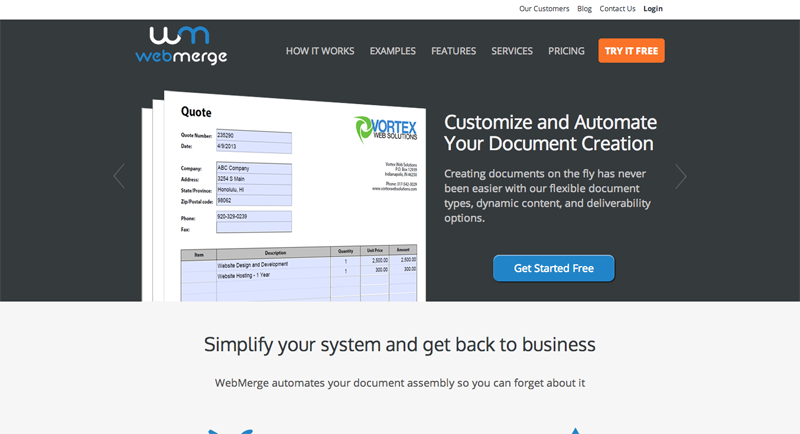 Also add the docType and optionally add your own title. In the following example, we are displaying the certificate name. 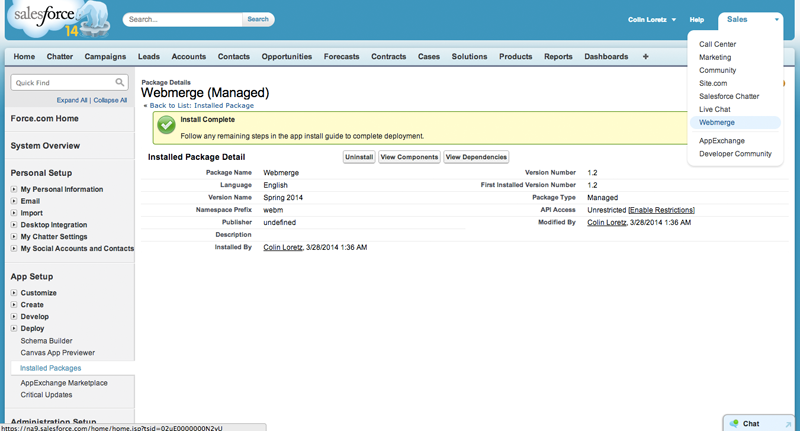 Keep in mind that not every Salesforce object has a Name property. 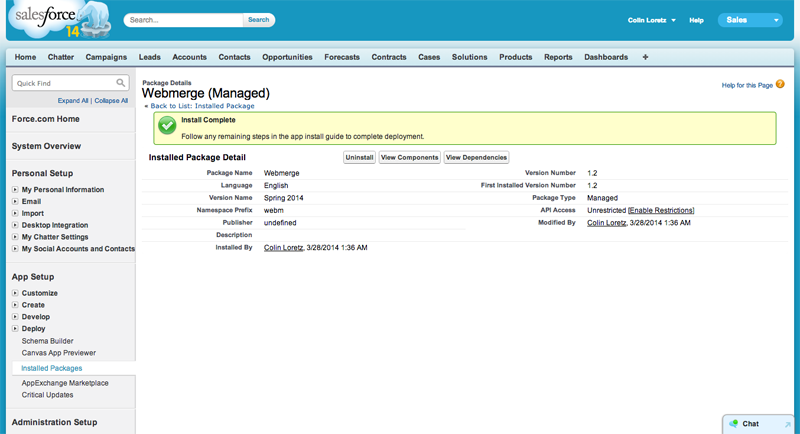 Create a new button: Set the button type to Visualforce and select your new Visualforce page. Choose Buttons from the left side and then drag your newly created button onto your layout, and save. 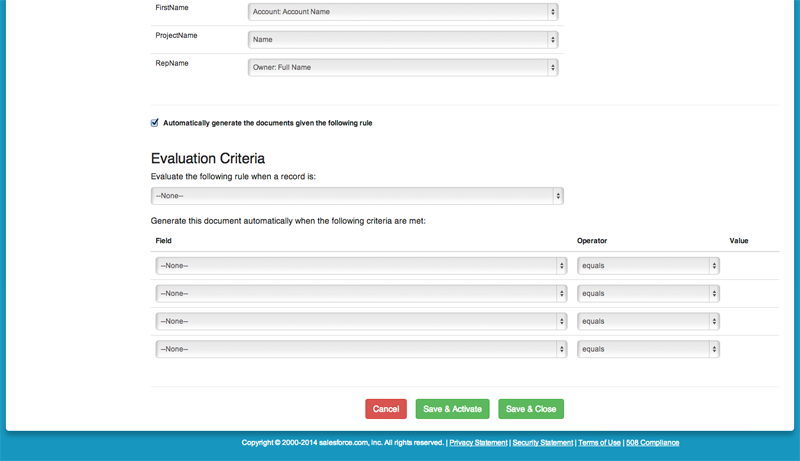 You only need to take this step if you need plan on automatically generating documents when a record is inserted/updated. If you are just clicking the buttons, you don't need to worry about the triggers. 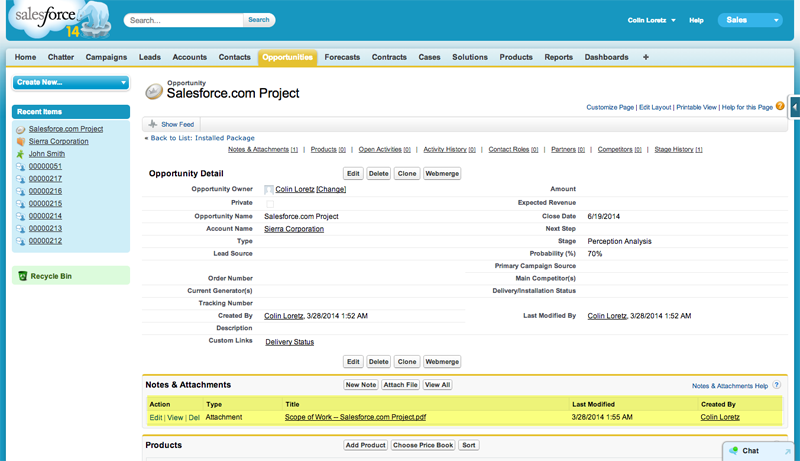 Create a new Apex Trigger: Select the Salesforce Object you’d like to trigger on and select After Insert and After Update only. Do not set any other values for this. 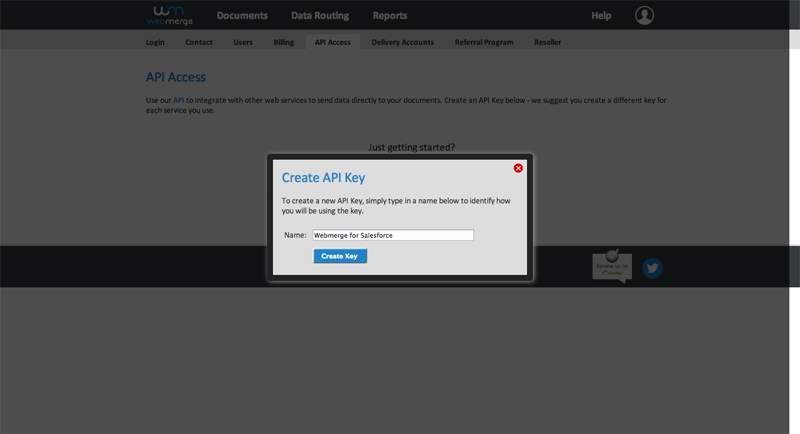 Add the Apex Trigger code: Add the following code snippet to your new Apex Trigger.